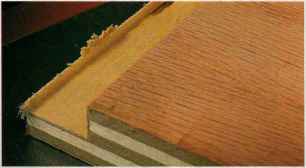 Caution: The blade guard must be removed for all of these dado blade cuts. Be careful. Cut all material with the good face up. 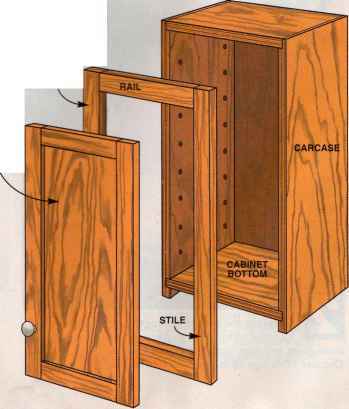 Any teai^out will be on the bottom, which is the inside of the cabinet. For sheet stock, use a 60- to 80-tooth, alternate-top bevel blade for a high-quality edge right off the saw. 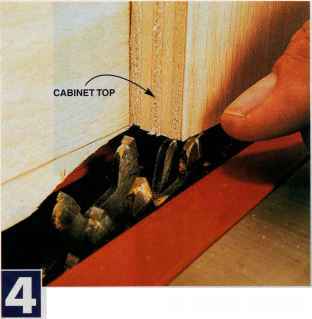 Don't edge joint plywood or MDF. The glue in these materials is hard on jointer knives. Organize your cutting so all same-sized parts are cut together. It's hard to get your rip fence back in exactly the same spot twice. 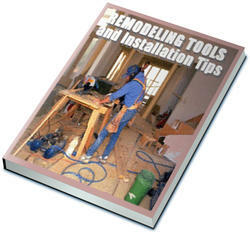 Cut plywood parts to width following the four steps on page 75. Feed the pieces smoothly past the blade to get the best-quality cut. Dado the case sides to receive the cabinet bottom. 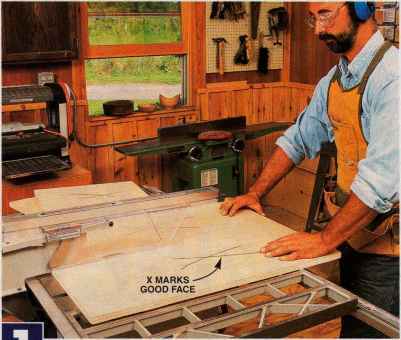 Be certain the dado head is set up correctly for your sheet stock.The shelf should slip into the dado with no more than hand pressure, and the parts should stick together when you try to separate them. 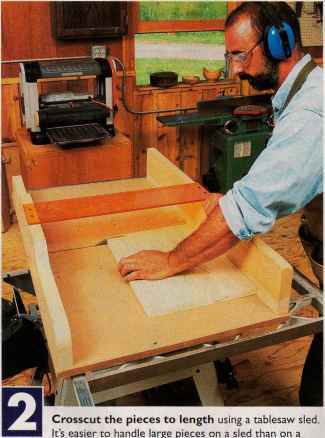 Setting up the dadoes can be fussy, and may require dado shims (thin material that allows you to change the width of the head a few thousandths of an inch; see Sources, page 86). Take the time to get it right. The correct depth for dadoes and rabbets is one-half the thickness of whatever they're being cut into. 3/4-in. 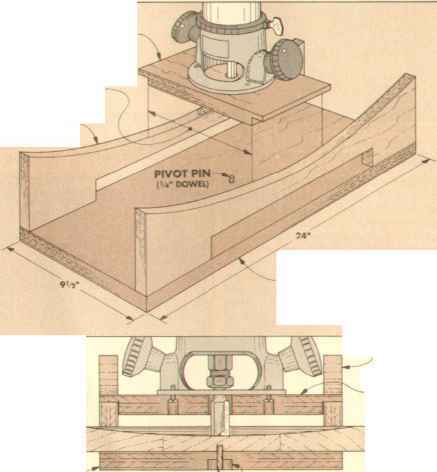 plywood gets a 3/8-in. dado. intentionally make them l/32-in. too deep. (Too deep is better than too shallow!) 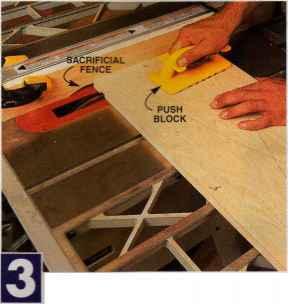 With the saw unplugged, position the fence by using a cabinet top as a gauge. Feel for a fingernail catch where the dado head projects past the face of the top. Make a test cut in scrap material to check the fence position. 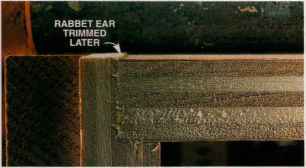 There should be a thin leaf of material on the edge of the rabbet. Slice this off with a sharp chisel.